Berk is busy cooking and Boni is busy complaining of boredom, as usual. The peace is shattered, however, by the arrival of Bubo from the trap door, resulting in a scunge fight. 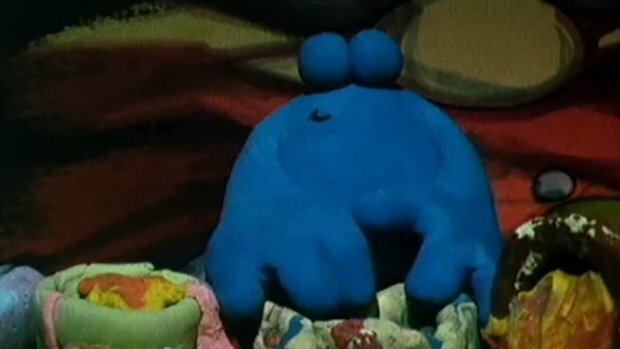 Eventually Rogg appears out of the trap door and realising Berk is annoyed at Bubo, he neatly swots the little yellow creature back down the trap door.